Catoosa Flowers delivers fresh flowers throughout Catoosa and the surrounding areas in Oklahoma including Tulsa. 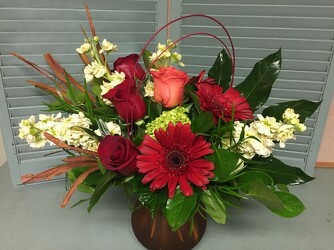 We are your local, full service Catoosa florist and take pride in providing our customers with quality flowers, artfully designed arrangements and gifts for all occasions. 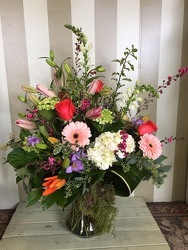 From birthday flowers to holiday flowers to sympathy flowers, we guarantee satisfaction and timely delivery to local residence, business, hospital and funeral home locations. Browse the Catoosa Flowers website for your perfect arrangement or call to speak to an in-house floral design expert today!